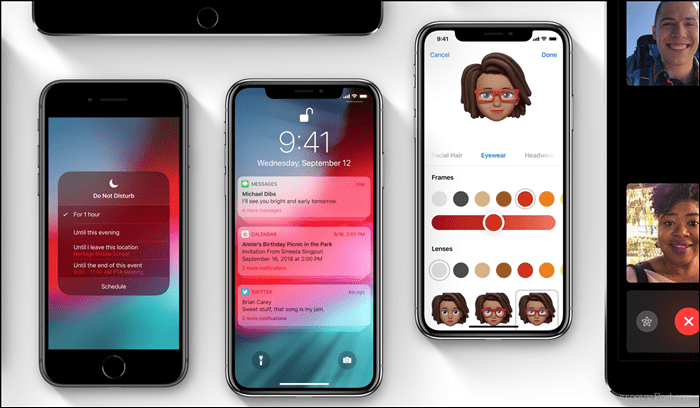 Apple just released iOS 12 for its iPhone and iPad customers. Let’s dig into the upgrade including what’s included in it and if you should upgrade older devices. What’s better than buying a new iPhone XS? How about upgrading your existing Apple mobile device to iOS 12 for free! The new version of iOS has put an emphasis on making your iPad and iPhone faster than ever. 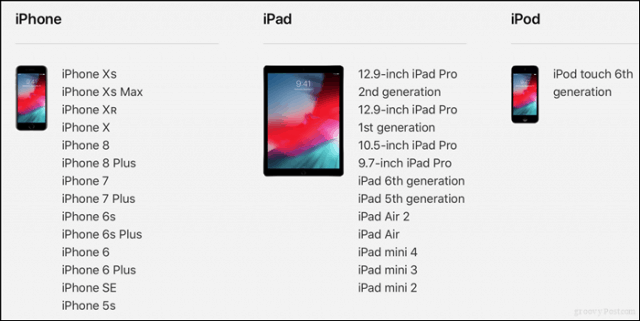 With the release of iOS 12, it appears Apple has decided to put a pause on feature-rich releases; instead ensuring owners of devices as far back as 2013 can get more value out of their older devices. The new version of iOS is not lacking features either and a lot of them are welcome improvements that help you balance the usage of the device, protect your privacy and be a little bit more productive. In this article, we take a look at determining your device support, upgrading to iOS 12 and checking out some of the new features. After determining support, you want to reference our Groovypost article which covers the details of backing up your device. I always recommend this task for new operating system upgrades. Apple devices are a unique case because of how well the company designs its products. But once you add third-party application support, things can go the other way. So, you want a fall back plan just in case anything bad happens. 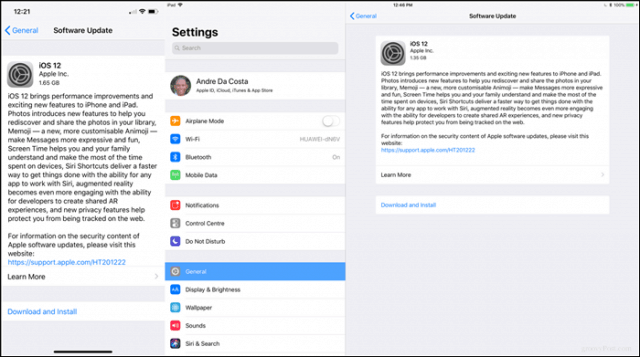 Space required for the iOS 12 upgrade varies, on my iPhone and iPad, the size of the download was approximately 1.3 to 1.6 GBs depending on the device model. Some users reported their devices requiring nearly 3 GBs to install iOS 12. You can check out our previous article for details on how to free up space on your iPad or iPhone. It’s pretty amazing how far iOS has come over the past 10 years to be up there in size with desktop operating systems like Windows and macOS. To begin the installation, launch Settings > General > Software Update then tap download and install. Download times will vary depending on your connection speed. For me, the download took only a few minutes. After approving the installation, my device restarted immediately and began the install. I can honestly say, my upgrade to iOS 12 was the fastest I have ever seen. My upgrades completed and I was back at my lock screen in under 10 minutes. After which, I was taken through a series of screens describing how some of new, more important features worked. As I mentioned earlier, although the upgrade has a strong focus on improving performance of older devices, it also includes a few nice features. Let’s take a look at a few of my favorites. It’s becoming a regular discussion; the issues regarding prolonged device usage / addiction. No matter what you call it, for many, it’s a problem. 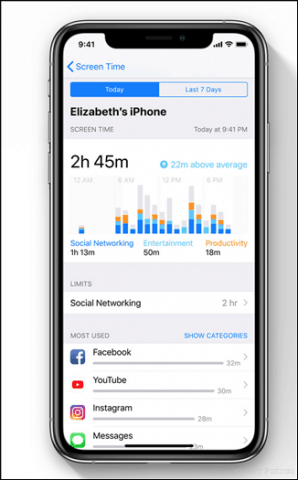 Apple’s iOS 12 is taking a crash at helping its customers improve time management with a new app called Screen Time. Found in the root of the Settings menu, Screen Time lets you get an overview of your device activities; the apps you’ve been using and the amount of time you spend in them. You can setup self-restrictions and time limits for individual apps or groups of apps. For example, say you only want to spend an hour on Facebook per day. After setting the limit, once you exceed an hour, iOS will let you know and block the app. You can always bypass it, but it’s more of a motivating function to reduce your time. Apple also added great family Screen Time settings, however, there’s a lot to this topic so we’ll save it for another article. Notifications have been clunky and confusing for many years on iOS. I’m happy to say Apple has finally got enlightenment and fixed this glaring issue. Notifications are now stacked by the app, making them easier to sort through, manage and clear. If there is one feature that might justify an update to iOS 12, this one just might be it. 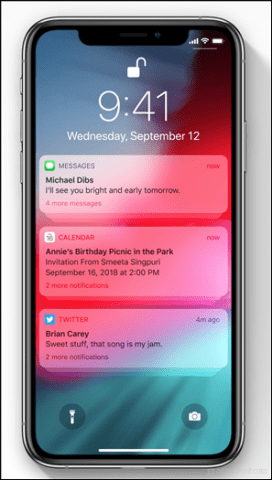 If you need to reduce interruptions, whether its a meeting, meditation or an escape from the world sitting in your pocket, iOS 12 makes it so much easier. 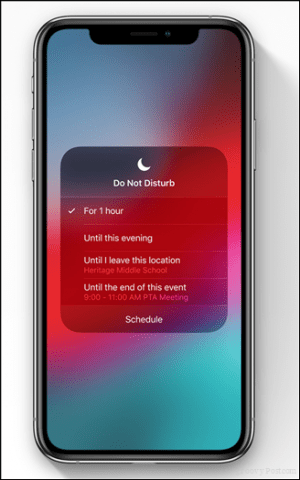 With a simple long press on the Do not disturb tile on the Control Center, you can set options for one hour; or certain period; or after an event. 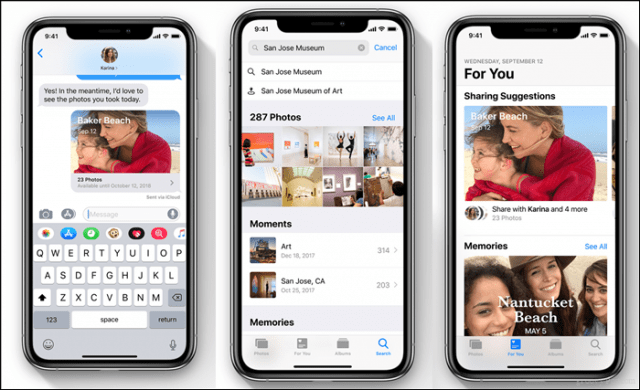 In iOS 12, we see continued investment by Apple in how Photos are stored and managed on your device. The new version aims to make it easier to discover and find images by using keyword searches based on location, people, moments or memories. Artificial intelligence makes it easier to share photos based on the person found within the photo as well. Privacy and Security have been at the core of Apple products for a very long time. As a premium product, it’s what we have come to expect and honestly, what separates it from its competitors. 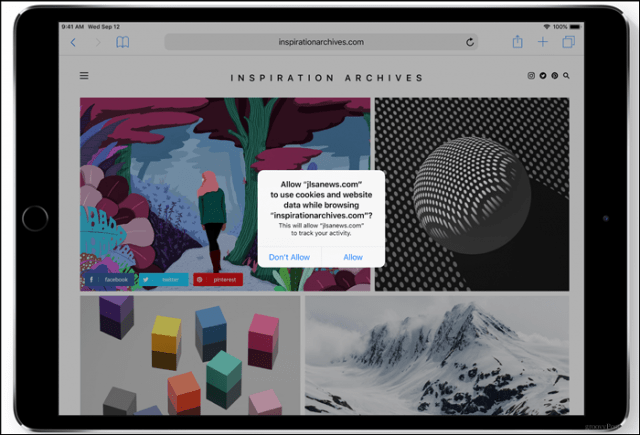 With iOS 12, Apple is continuing down this path with a number of improvements to apps such as Safari. Website widgets on comments, share buttons, and tracking features are now disabled by default. Being a tech writer with fairly new devices, the upgrade was a no-brainer for me personally. That said, if your device supports the new release, I highly recommend most take the leap to iOS 12. Speed, security and solid feature improvements make this a solid update for iPhone and iPad users. 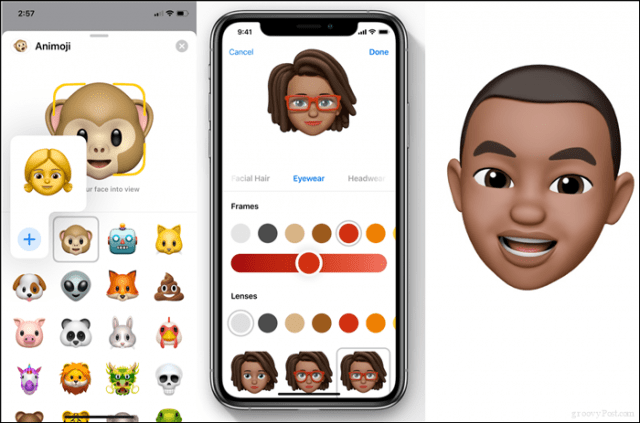 Apple’s iOS 12 for iPhone and iPad isn’t the only thing that the company released today. It also rolled out a new update for macOS and watchOS. And, of course, there is a new update for the Apple TV. Make sure to read our article on what’s new with tvOS 12 for Apple TV. Have you upgraded yet? I really would love to hear your experience on the upgrade. What device are you running and are you seeing any improvements with applications and overall device performance? Please let us know in the comments! I upgraded and absolutely HATE the. New iBooks platform. If you have a large number of ebooks (I’ve got over 800) it is hard to use. Also, in the upgrade, on the keyboard, they have switched the number and emoji buttons positions.